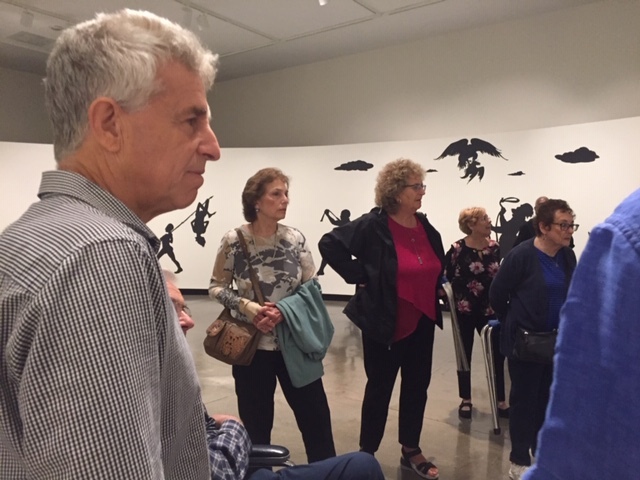 BNC Somerset members enjoyed a guided tour of Kara Walker’s interesting and controversial art work on display at the Montclair Art Museum on September 26, 2018. Our guide explained that the museum had received requests to turn down the exhibit “Virginia Lynch Mob and Other Works,” from the black community mainly because of the “stereotypical images” in the work. The body of work by Ms. Walker, a black women, is a black woman artist’s very personal reaction to race, gender, and slavery issues in America. Rage, violence, horror and sexuality burst from images. Her black and white silhouette images are virtual stark symbols of the years of fear, brutality and separation suffered by blacks in America. Flat black and white stereotyped images also were a metaphor for how we often see each other. 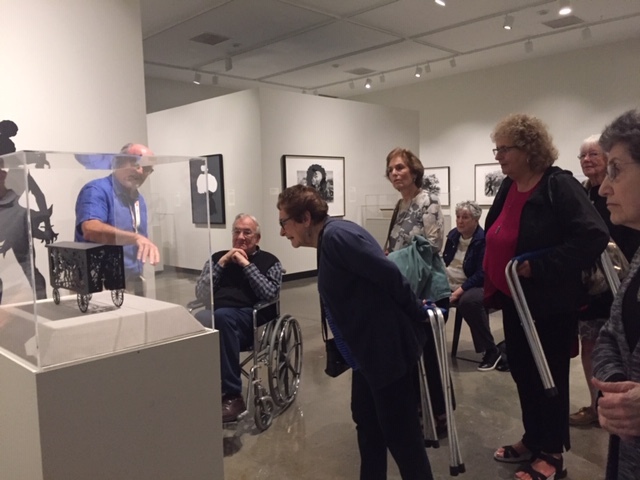 Our group leader added great understanding and appreciation of the exhibit with his information, questions and encouragement of discussion of the work. Kara Walker teaches at Rutgers University. 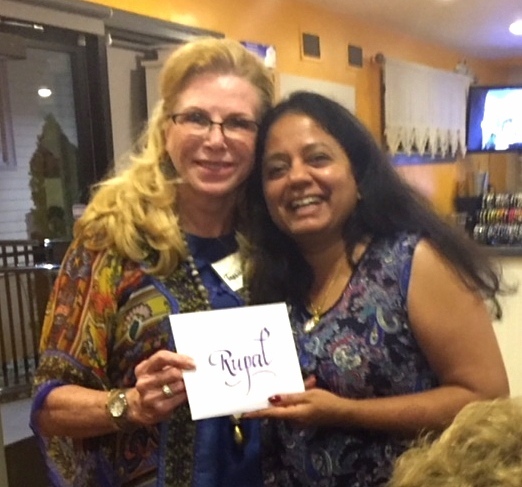 We had a great evening at Namli, Tuesday evening September 4. 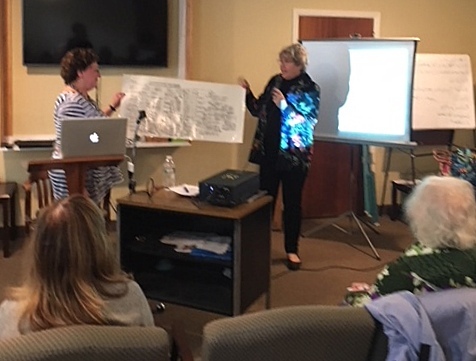 The food was wonderful – Tassie gave a very nice explanation of the work we do in BNC and described the new microscope in detail. She told us about the development and history of Henna over the centuries and how it is done today. 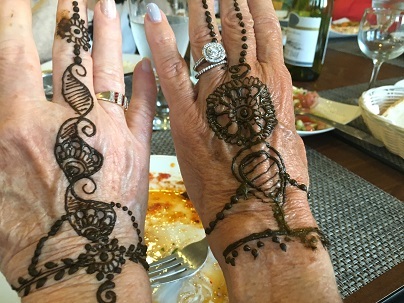 Our group of 21 people all were given a chance to have their own henna decoration done and all but 2 or 3 had a design painted on their skin. We were told to let it dry overnight and to apply some oil to the skin to bring out the orange color it will develop into in the next few days. Namely presented a delicious meal of Mediterranean cuisine. Everyone enjoyed the evening. No summer Brandeis season would be complete without a trip to the NJ Shakespeare Festival at Drew University. We always lunch before the show at Rod’s Steakhouse, and August 25th this year was no exception. 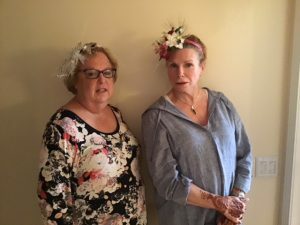 After a top-flight prix fixe meal, we motored to Drew to see Noël Coward’s Blithe Spirit. It is a timeless comedy and made us all laugh. Cocktails, British high wit, and a stylish ghost inhabit this delicious comedy that literally turns a pristine English country house inside out. An eccentric medium (Tina Stafford as Madame Arcati, shown above) is asked to conduct a séance, only to conjure up the ghost of a past wife hellbent on causing mayhem. Before we settled into our seats it was time for a group photo. 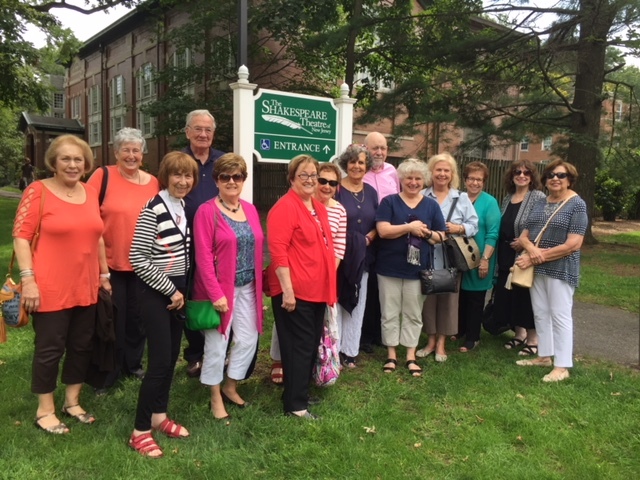 From left: Jeanne Tudor, Harriet Cohen, Iris Jacobsen, John Clancy, Nancy Clancy, Chris Retz, Judy Dorfman, Joel Dorfman, Diane Kearns, Linda O’Mealia Schroll, Ann Smith, Diane Fero, and Barbara Oxfeld. 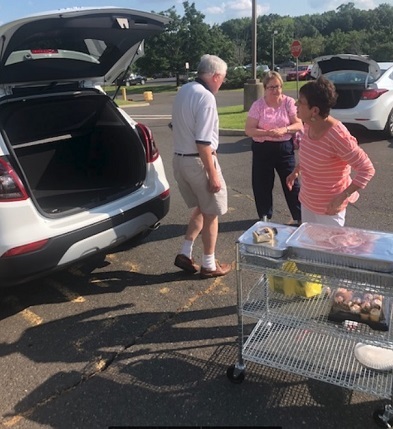 On August 9 a happy trio of Ellie Goldman, Dave Retz, and Chris Retz delivered a picnic dinner for 25 residents and guests of the Teen House at the Center for Great Expectations here in Somerset. 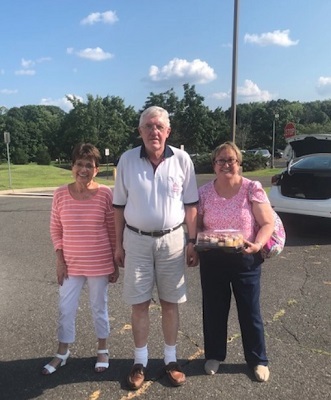 We provided soda, a 6′ deluxe sub, 48 pieces of fried chicken, mac ‘n cheese, and cupcakes to appreciative residents. This project was paid for with funds generously donated by our board as well as general membership. THANK YOU TO ALL! 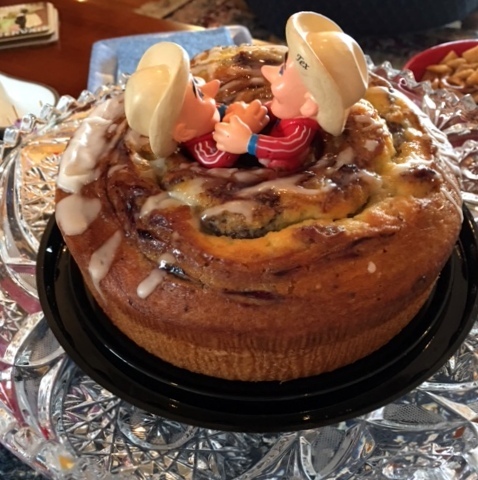 Here are “Tex and Mex”, who nicely complimented our July 30 magazine discussion group, which focused on the recent case of the Colorado artist-baker who refused on religious grounds to make a wedding cake for a gay couple. 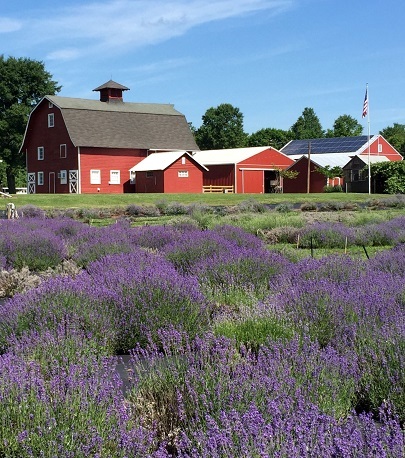 On June 26, Mother Nature delivered us a perfect day on which to go to the Hidden Spring Lavender Farm in Skillman. The farm and its several outbuildings were a riot of color as we learned the ins-and-outs of lavender production. The farm also houses several alpaca as well as retired horses. Of course we had to end our visit at their fragrant gift shop, in which we found “everything lavender” from soap to scent, and everything in-between. Our next stop was lunch at the Blue Bottle Café in Hopewell, where the magnificence of the menu was matched only by the attentive and most accommodating staff. Highly recommended! 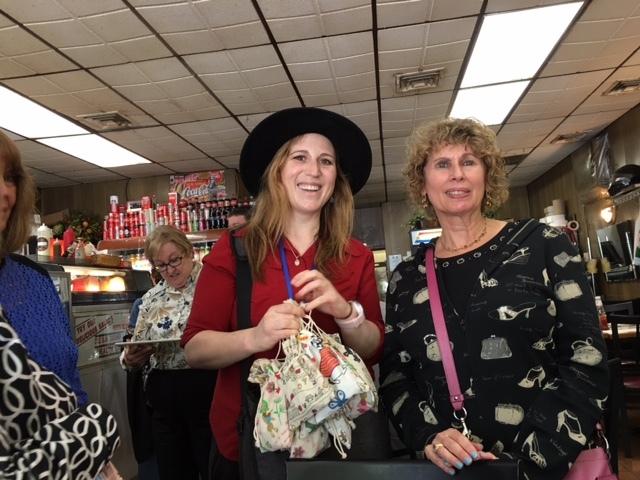 On a beautiful day in early June we went to Williamsburg to learn about the Satmar dynasty of Hasidim. 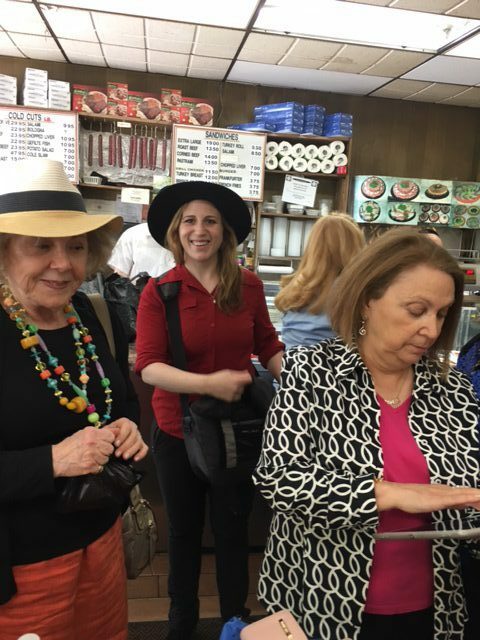 We had a terrific walking tour with our guide Frieda Vizel, herself a former member of the Satmar. As we strolled we learned about her interesting life, and the lives of those around her. 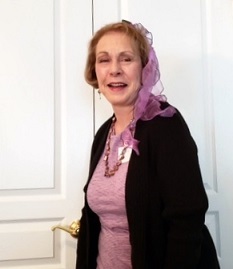 Our terrific guide, Frieda Vizel. She was patience itself, answering our thousand-and-one questions on the daily lives of the Satmar. How do they earn money? What about marriage? Families? Education? 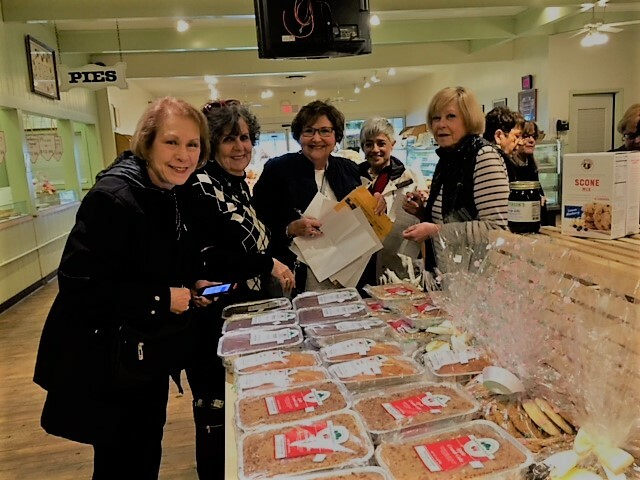 The perfect hostess, Frieda sent us all home with bags of baked goodies to share with our families. 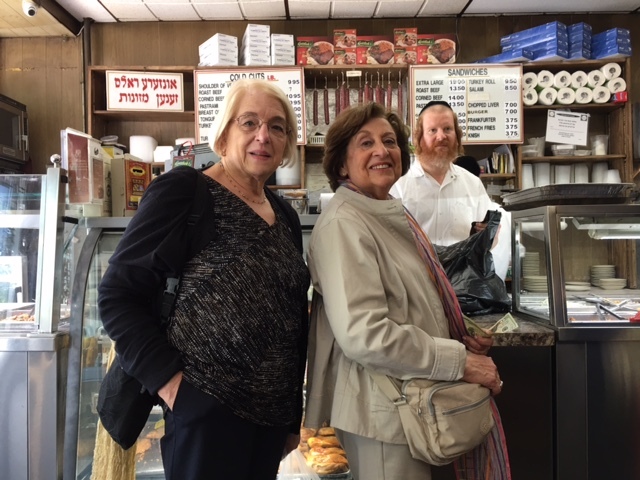 Chapter members wait to pick up their “to go” orders at Gottlieb’s Restaurant on Roebling Street in Brooklyn. 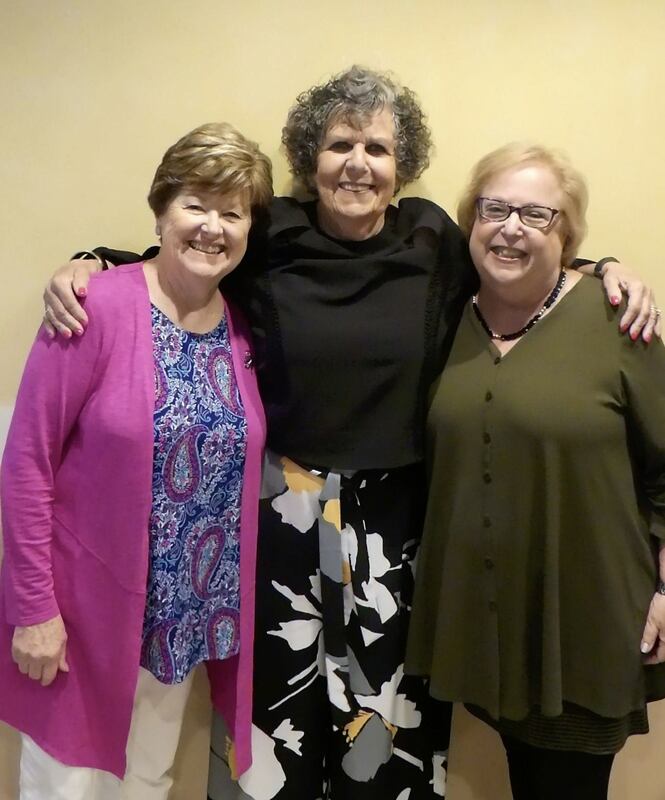 We started this event with saying good bye to our outgoing president Judy Dorfman, welcoming new co-presidents Nancy Clancy and Mindy Morris and our newly elected officers. 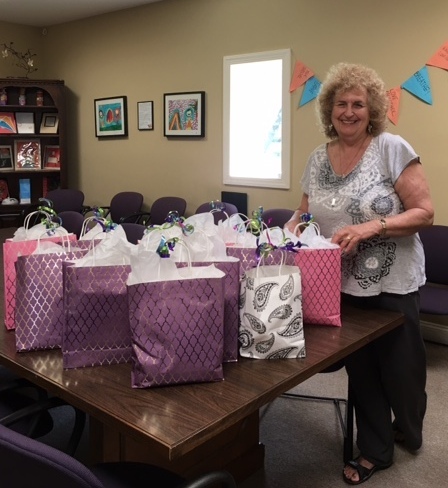 Thanks to the generosity of our Brandeis membership the Social Justice Committee was able to provide Mothers Day gift bags to our local Battered Women’s Shelter, Safe and Sound. Committee members Helen Hoffman and Susan Kaplan are pictured with the bags which included scarves, body lotion, scented candles, costume jewelry, picture frames and small notebooks for journal writing and pens as requested by the Shelter staff along with a Mother’s Day card and message from our chapter. We are currently collecting Spring/Summer items for out Jewish Family Service Giving Circle Family. An E-Blast has been sent to our membership with details. The weather was terrific on May,23 when we had a scavenger hunt at the Grounds of Sculpture in Hamilton. 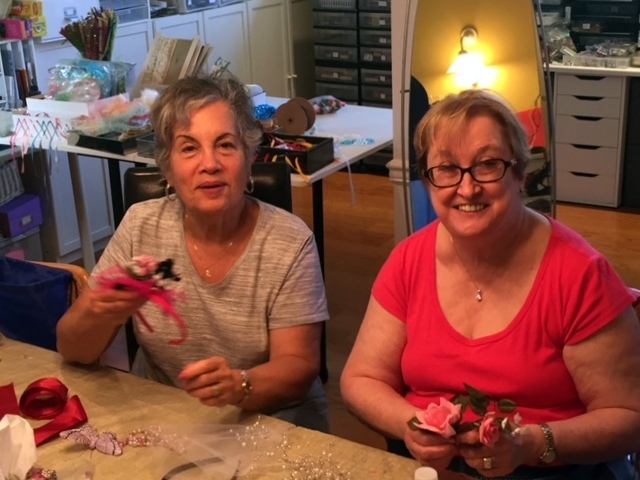 We broke into two teams of five each with Judy and me (Nancy Clancy) as team leaders for our two teams. My team included Tassie Becker, Marilyn Altman, Toby Marx, and Marlene Cohen, and we won first place. 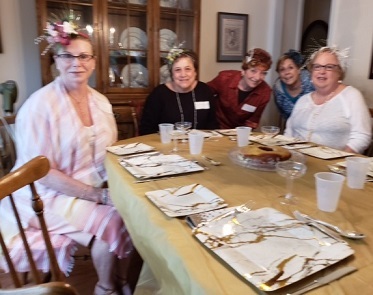 The other team participants were Judy Dorfman, Jeanne Tudor, Sheila Frank, Mindy Morris and Judy Streger. We were given a map of the grounds and packet of three pages of 15 questions with color photos. Each photo was a part of a sculpture out on the grounds. 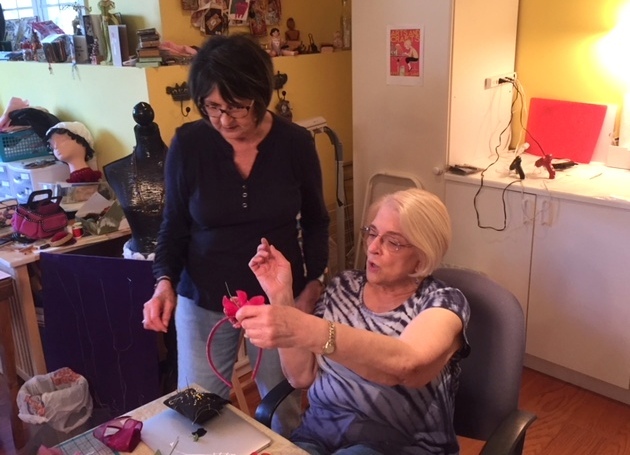 Our job was to work together as a team and identify the sculpture pictured with its title and name of the artist, and answer a question about the sculpture. Needless to say, we covered most of the grounds that morning finding the exact work of art that matched our photos. We found ourselves being extremely observant also working hard to keep the group together. 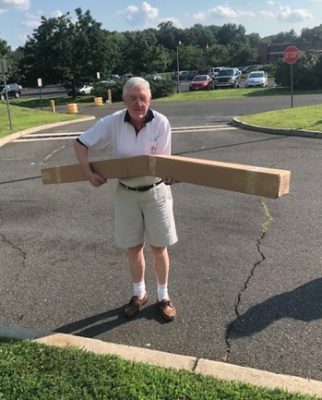 Everyone loved the hunt, got their more than 15,000 steps, and to top it off there were prizes for all from the Grounds for Sculpture. After the hunt we gathered at Rat’s for a great lunch. It was a wonderful day for all. 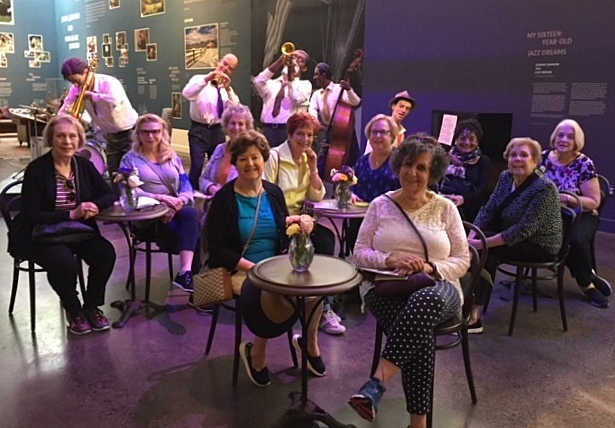 These photos were taken of our entire group in front of Johnson’s Dream Jazz Band, an exhibit in the Seward Johnson museum area of the visitors’ center. 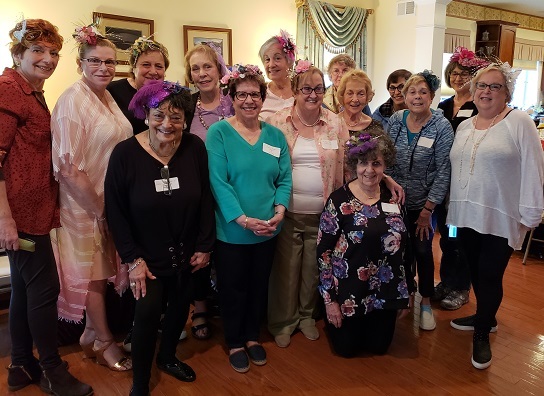 New Members Social a Great Success! who spoke to us about Emily Roebling, who supervised construction of the Brooklyn Bridge. 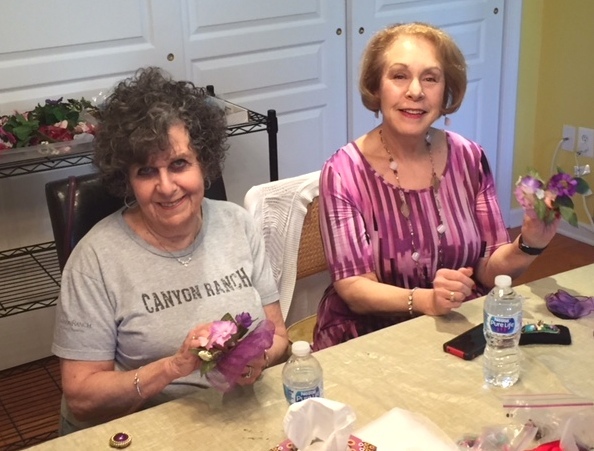 Shown here are Ms. Levin with chapter president emeritus Iris Kislin. 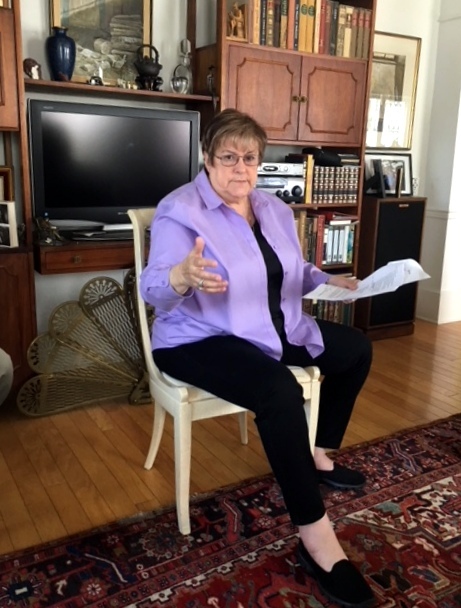 Our own Judy Stein spoke to us about the evolution of music from the time of the great composers Bach, Beethoven and their contemporaries to more modern pieces. She gave us some knowledge of the many different components that go into creating a musical composition. Many varied listening experiences were provided to illustrate her information. A most enjoyable, informative afternoon was had by all eager attendees. 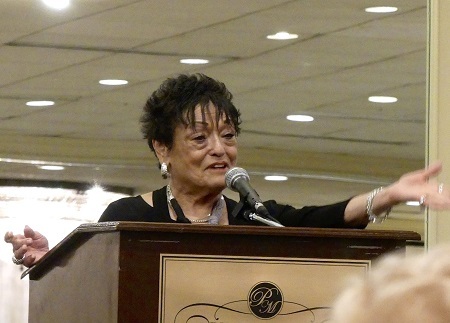 One of BNC’s most successful fundraising events is the annual book ’n author luncheon. 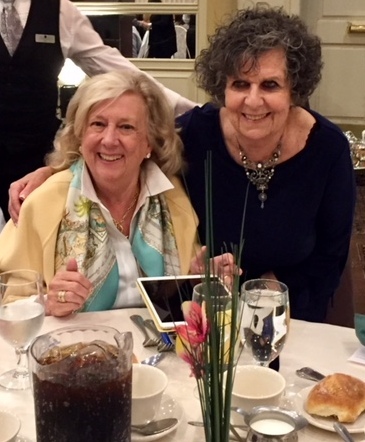 author Linda Fairstein, who spoke about her book Deadfall. giving the official welcome to the several hundred people who attended. 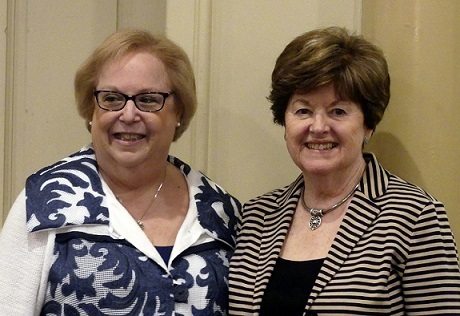 Here are incoming Somerset chapter co-presidents Mindy Morris and Nancy Clancy. 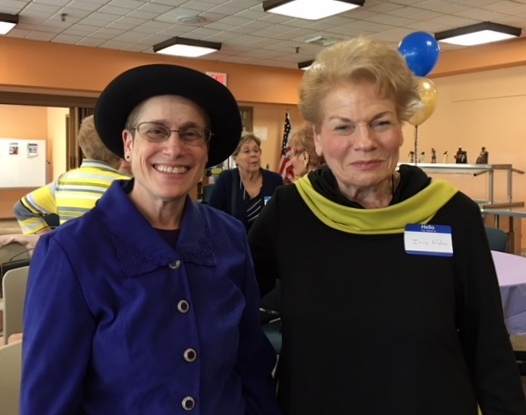 And here is a great shot of the famous Ms. Fairstein with outgoing president Judy Dorfman. party for the wedding of Harry and Meghan at St. George’s Chapel in Windsor Castle. 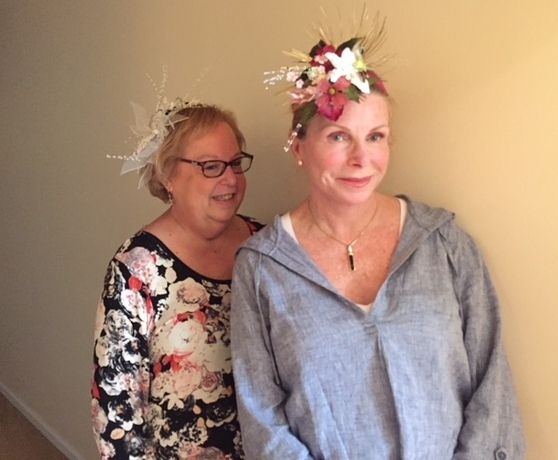 here are Mindy Morris and Tassie Becker. 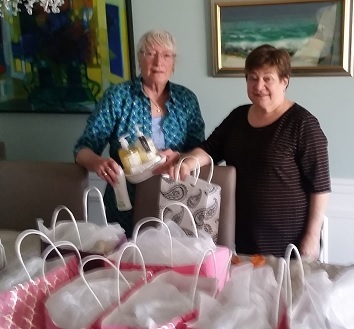 Helen Hoffman & Susan Kaplan and the gift bags they worked on for the residents at the Safe &Sound Women’s Shelter. 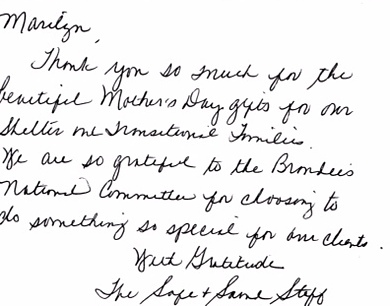 One way our Brandeis Somerset Chapter hopes to make Mother’s Day special. 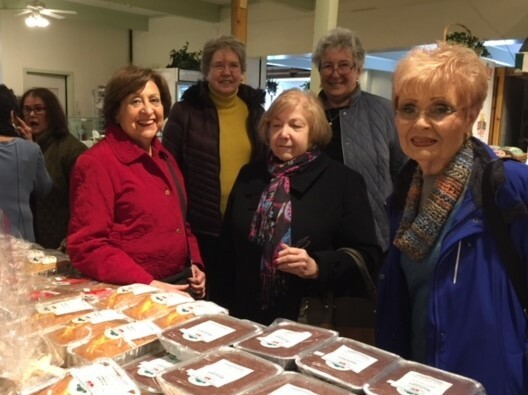 On a beautiful spring day nineteen Somerset BNC members went to Delicious Orchards, a family-owned farm and country food market store-plus-bakery in Colts Neck, NJ. Today’s very large store and bakery grew from the farm’s original 1959 roadside apple stand. Our behind-the-scenes tour started with us our donning our baker’s hats and entering the bakery and its maze of rooms. 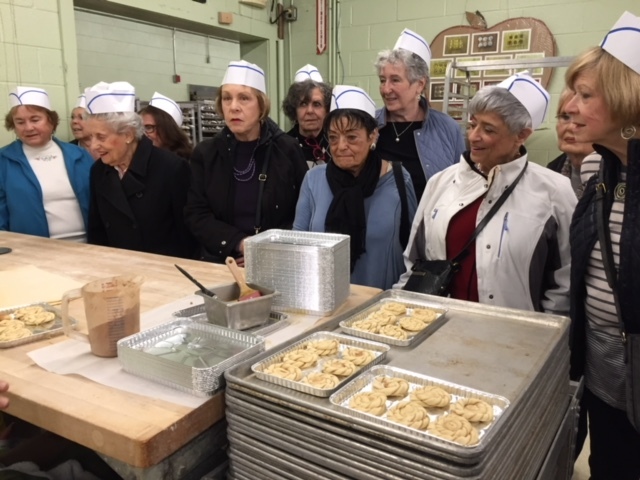 We saw pastries, tarts, doughnuts, challah, braided breads, pies, and many other yeast-dough bakery items being made. 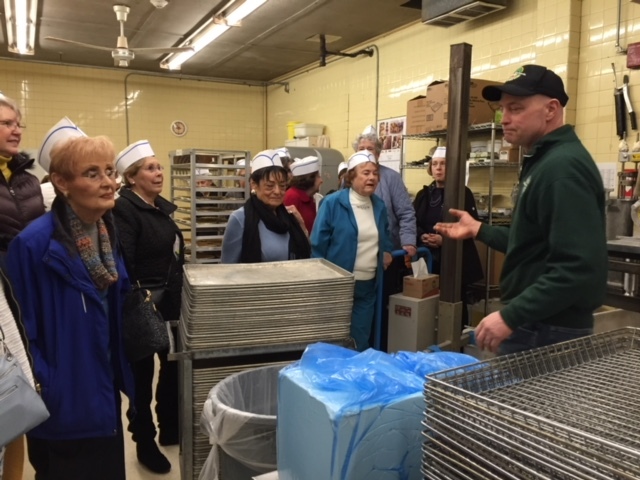 The bakery is much more hands-on than in a factory but workers are aided by large mixers, walls of ovens, and machines, such as the pie crust press and dough rollers. Our tour guide had a thorough knowledge of all the bakery processes and machines and knew every worker by name. 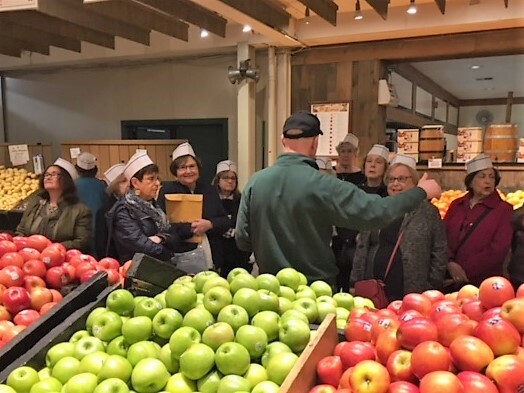 We ended up with a tour through the large store’s produce area where our guide again had great information about each product on the floor. 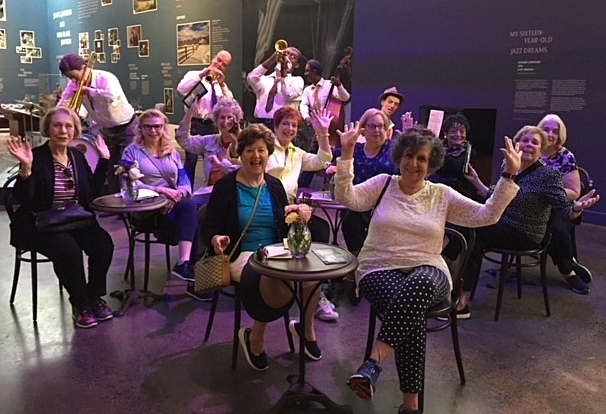 Members of our group enjoyed the tour heartily and found it educational as well. Afterwards we had a lunch at Huddy’s Restaurant across the street from Delicious Orchards. 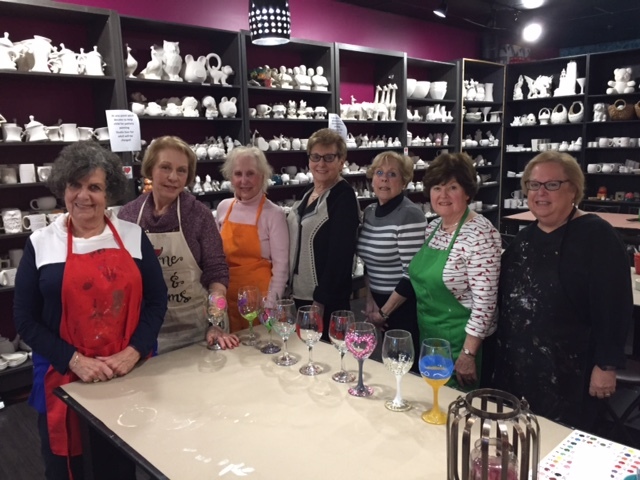 terrific time painting wine glasses and sipping refreshments at Wine and Dreams in Somerset. Nancy Clancy, along with their painted wine glasses.